Made in Italy production and import certified and guaranteed for mass production : the Italian production have been joined new foreign suppliers for the commercialization of large volumes at competitive prices maintaining constant quality standards . All- inclusive service from design to control and test the mounted board . Download the certificates of our IPC Specialist! The IPC Association – Association Connecting Electronics Industries, has composed some documents that are usually used as reference standard. They are linked to the most technical aspects of every electronic component. The use of IPC standard as point of reference guarantees that the production follows accurate and recurring quality checks. All the PCBs that we produce in our national and international plants are in compliance with IPC A 600 standards. The standard production process follows the IPC A 600 class 2 regulation. However, for our demanding customers working in the field of rail system, military electronics and aviation we follow IPC 600 class 3 standard. Esseti srl sustains the fight against violence, violation of human rights and environmental decline relating to mining and trading of certain minerals in a delimited geographic area as “region of conflicts” which includes Democratic Republic of the Congo (RDC) and neighbouring countries. Securities and Exchange Commission (SEC) has prepared legistlation relating to relevation and publication requirements of “conflict minerals”, as indicated by “Reform Dodd-Frank Wall Street and Consumer Protection Act” of 2010. The regulation provide for producers to inform if the created products contain metals extracted from eastern provinces of the Democratic Republic of Congo (RDC) and neighbouring countries, where the extraction of minerals may finance, directly or indirectly, the violation of human rights or offer economic benefits to the armed groups of those countries. Esseti srl does not purchase the minerals directly from mines and foundries, however has started to carry out a working process with its suppliers in way to guarantee non-use of minerals from the conflict-mineral regions, and undertakes not to buy deliberately those minerals which come from areas known as “Region of conflicts”. Esseti srl upholds fully this law and its position is to avoid any use of minerals that are not certified as “conflict free”. 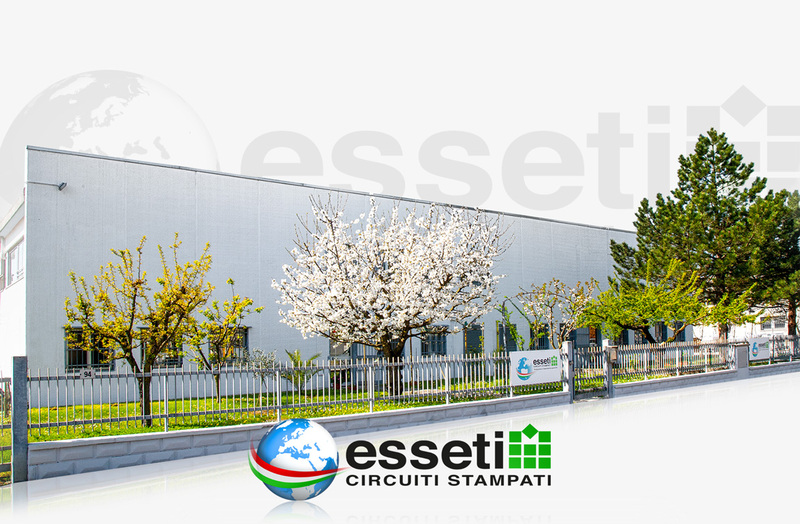 In view of the above Esseti srl in the person of its legal representative states that the material provided by our company DOES NOT CONTAIN metals from those prohibited areas. This system provides a treatment in horizontal tunnel with the forced wetting of the holes through a continuous flow generated by a pump and by the flow bar. Tests to ensure the continuity of the slopes and the absence of short circuits on all the nets on board.